Design a friendly and inviting landscape with sensational Pink Snow crocus blooms. These Dutch-sourced crocuses feature soft pink hues with a dazzling silvery shimmer and cup-shaped blooms, adding beauty and colour to your lawn. Standing at 3 to 5 inches tall, these resilient perennials look natural when spread throughout hillsides and meadows. Blooming in the very early spring, these graceful crocuses will help you get in the spirit of the warmer weather ahead. These Dutch crocus roseus blooms flourish in climate hardiness zones 3 to 9 and require full or partial sun. 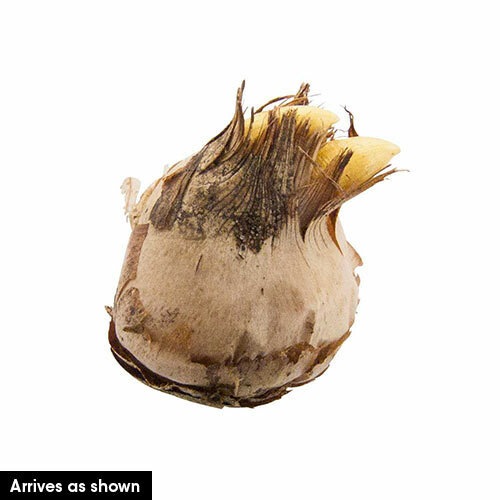 Plant crocus bulbs (Crocus tommassinianus 'Roseus') in the fall in well-drained clay, sandy or loamy soil, ensuring they are 3 inches deep and approximately 2 to 3 inches apart. Crocuses are hardy plants capable of surviving even with snow on the ground. 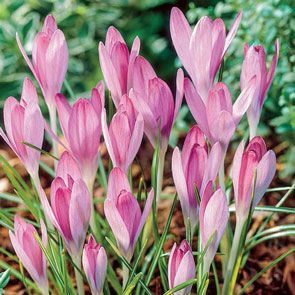 Excellent for naturalizing, plant Pink Snow crocus flowers where they have plenty of room to spread. You can also plant crocus many crocus bulbs in clusters of 10 or more, adding a charming display to your landscape. These pink crocuses look right at home in the front of flower beds, adding a boost of colour and enchantment. Welcome early spring with mesmerizing Pink Snow crocus blooms. Enjoy the warm pink colour of this extra-early bloomer. The most nearly pink of all Snow Crocus, this variety has a white heart and yellow stamen, and will also show a beautiful pink inside once it opens. These hardy blooms don't care if there's a layer of snow on the ground; they'll pop right up, ready to cheer you out of the winter blues. Crocus tommassinianus Roseus.